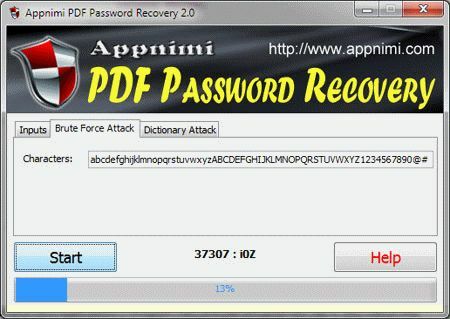 Appnimi PDF Password Recovery is a tool you can use to try to recover the password of protected PDF documents. The tool is available for free from SecurityXploded.com. It uses brute force as well as dictionary based password recovery technique which can help you to recover not only easy but also complex passwords. Easy to use with its elegant GUI interface. Recover password of any length & complexity. Installed executable is completely portable. Customize various parameters for effective password recovery.